French media giant Vivendi is in talks to buy a minority stake in the soon-to-be merged Banijay and Zodiak production and distribution group. A Vivendi spokesman told DTVE‘s sister title, TBI, that the move for a stake in Banijay Zodiak was perfectly logical in light of its increased investment in content and strategy to make select bolt-on acquisitions. Canal+ is also seeking to add original entertainment shows to its line-up and to feed its DTT channels with formats, which Banijay Zodiak could help provide. Vivendi owns Canal+ and StudioCanal, which, having been a movie specialist is now investing heavily in TV production and distribution, predominantly in the scripted TV space. It has acquired prodcos including Red and Tandem and is about to launch European drama series The Last Panthers internationally. Buying into Banijay-Zodiak would also give Vivendi clout in the entertainment and formats space, as well as an interest in TV production in the US and the Nordics. The merged Banijay Zodiak will have combined revenues of US$1 billion, and a huge distribution catalogue that will go out via a new sales arm. Banijay founder Stéphane Courbit will be chairman of Banijay-Zodiak and Marco Bassetti (above) will be CEO. Zodiak Media boss Marc-Antoine d’Halluin (right) will exit. Neither company would provide further information on the Vivendi talks, with Banijay saying it was ‘unable to comment on the contents of Vivendi’s recent interim results.” Both Banijay and Zodiak are backed by Italian media firm DeAgostini. Vivendi did not specify the size of the stake it is discussing buying, but sources said it was likely to be significant and that the French company will likely assess whether to make a full takeover attempt in the future. 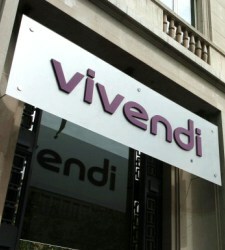 Vivendi reported 1h15 revenues of €5.1 billion, an 8.3% increase year-on-year. EBITA profit was €516 million, a 13.4% increase on the previous year.